If you can be found checking your horoscopes on various sites on a weekly—even daily—basis, there’s a good chance that you like to live your life by the stars. It only makes sense, then, that you’d be sporting your sign whenever you get the chance, right? Luckily, with stylish zodiac necklaces, you can. Even if you’re the type of girl who claims to only read her horoscope for the entertainment value, you can’t deny that wearing something a little more personal can make you feel that much cooler. And, if you’ve already been dressing according to your sign, what better way to finish it off than with an accessory that shows your sign off to the world? From chic coin pendants to stylish takes on the constellations, a zodiac necklace is the perfect way to share your sign in a subtle (yet effective) way. 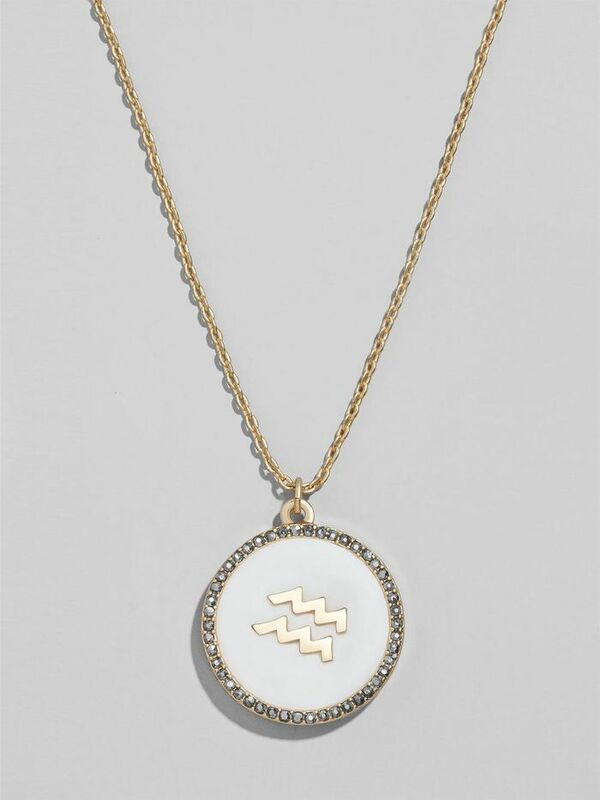 Ready to add this astrological trinket to your jewelry box? We’ve pulled together our favorites that’ll make the perfect addition on their own or stacked with your favorite layering necklaces. Shop them all now. This will make a statement. Yes, you need to hop on the pendant trend. We love this take on a zodiac constellation. Can't go wrong with a layered look. This will go with everything. We love this unique shape. Mother of pearl always adds a head-turning appeal. If one charm isn't enough, this set is perfect for you. Layer this with your favorite choker. We have no doubt these necklaces were written in the stars for your jewelry collection.